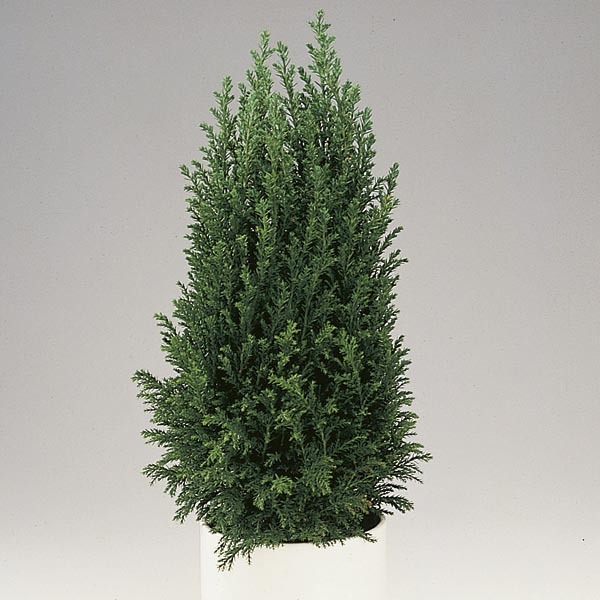 The tidy, pyramidal growth habit of this naturally short cypress is a beautiful decorative accent for use indoors or on a patio, deck or balcony outdoors. Growing European Tree® in a container limits its growth. Repot in the spring to a container 2” (5cm) larger in diameter if a larger sized plant is desired. Useful for interiors, porches or patios. Beautiful when used as a pair on either side of an entranceway. Where hardy, in regions that temperatures stay above -20°F or -29°C, it can be planted in the landscape to grow into a 10' (3m) tree. Water thoroughly but allow soil to dry slightly between waterings. Apply a balanced liquid fertilizer monthly during active growth. Prune branch tips to maintain shape and size.